PAUL DERVAN: Asking for just a penny can increase donations. Asking for just a penny can increase donations. Last month, Conor wrote an interesting article about charity donations raised through text message. One of the assumptions that Conor questioned was this: If you ask people to donate through text, they will give less. You might get more people to give (higher response), but overall you will collect less cash for your efforts. I don't know the answer. I understand the logic but think Conor is right to at least question this. There is an interesting experiment from the American Cancer Society with surprising results. While not related to text messaging, it is related to asking for less. It may not hold up over text donations, but worth at least challenging the assumptions. As part of a fundraising campaign, Robert Cialdini and the American Cancer Society went door-to-door asking for donations. One half of the those they spoke with were asked the following question "Would you be willing to help by giving a donation?". 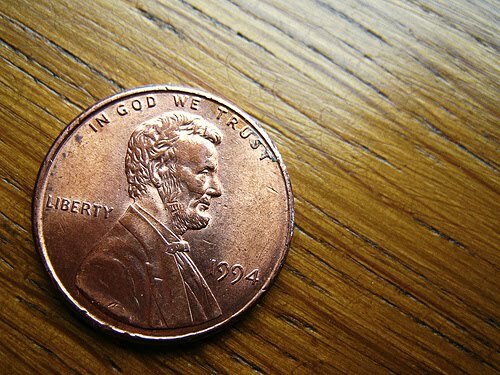 For the other half, they added the following line "Even a penny will help". The results? Almost twice as many people gave when told that even a penny would help. While not surprising, this might lead to one type of strategy over another. So instead of aiming to raise as much money as possible in one go, you might aim to get as many people as possible to show an initial interest, collect their details and then work on this group over time to turn them into advocates. Here's the surprising bit from the experiment. Despite being told that 'even a penny would help' the donation sizes were no smaller than the first group. So overall, by telling people that 'even a penny would help' increased the number of donations and the total amount collected. Nice eh. Lots of behavioural economics examples like this in Robert Cialdini's books.